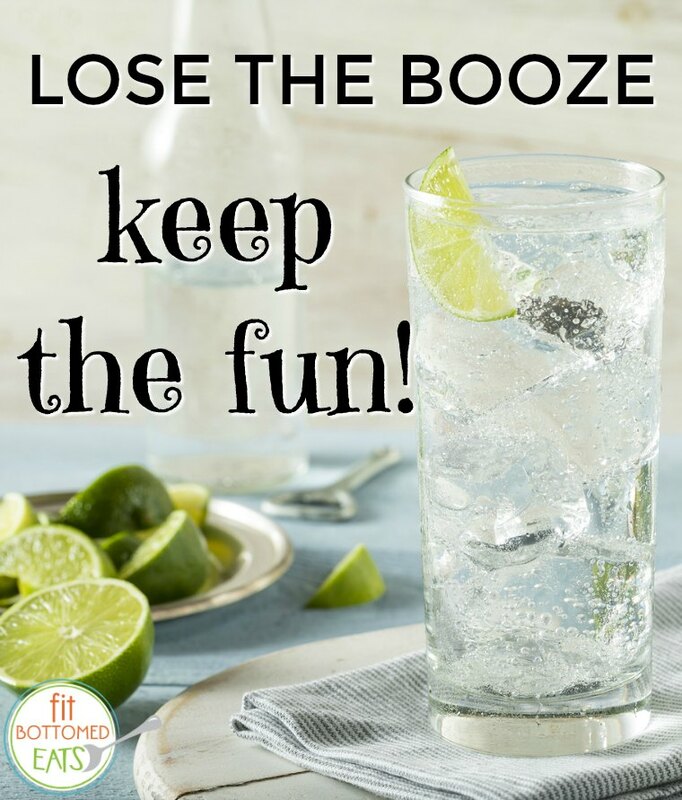 There are any number of reasons to eschew alcohol. Maybe you’re the driver, or you’re training for a race, or you’re making a commitment to eating (and drinking) clean that day. You could be pregnant — or, hey, maybe you simply choose not to drink. All totally good reasons, and don’t let anyone try to tell you otherwise. Something I’ve found to be true among a large number of my friends is that, if we’re at a party and people are enjoying beer or wine or their chosen cocktail, we like to feel as if we’re a part of it — but that doesn’t necessarily mean we feel the need to have something alcoholic. Any out-of-the-ordinary beverage seems to scratch that celebratory itch, and seeing as how we’re right in the midst of the holiday season, I thought it might be helpful to share a few fun options to sip on if you’re skipping the sauvignon blanc, but not the party. You knew I was gonna lead with this, didn’t you? But it’s for good reason. Sparkling water generally has very low calories (or often, none at all), it’s widely available in cans (making transportation a cinch), and, c’mon. Bubbles are fun! One thing to note, though — if you’re opting for a flavored version of your fave, it might be prudent to use a straw or swish your mouth with plain water when you’re done, as the citric acid in these can be dentally detrimental. You can also add your own herbs or fruits to plain sparkling (or flat!) water. If you’re like me and tend to have sparkling water often enough that it does’t seem quite so special, seek out a lesser-known brand. 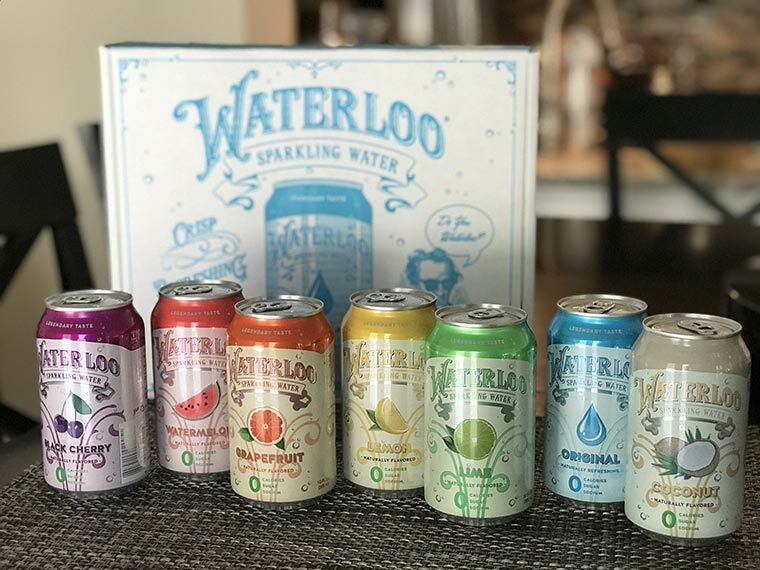 One that’s currently on my radar (because they sent me samples, but also because I’ve seen it at my local Lucky’s Market) is Waterloo, which features seven flavors and eye-catching packaging and promises a “bigger, brighter bubble” and a major focus on aromatics — and it’s noticeable. You might not think much about the mouthfeel of sparkling water … but you will with this. I also really enjoy mixing things up with Spindrift, which is made with tiny amounts of real, squeezed fruit, and the flavor is entirely different than other offerings on the market. I got the scoop on the brand’s background earlier this year when I attended a media luncheon they put on at Blue Hill Farm (which was AH-MAZING), and the effort they’ve put into creating a quality product is incredible. I mean, they literally found a new way to do everything they’re doing so that the real juice in the water remains shelf-stable. So. Cool. I’m a firm believer that herbal tea is a gift sent from the gods. It’s so fragrant and delicious, and I have yet to find one that’s not equally good hot and iced. But if you want to get really festively fancy, you’ll want to check out these tea latte recipes from Numi Organic Tea. 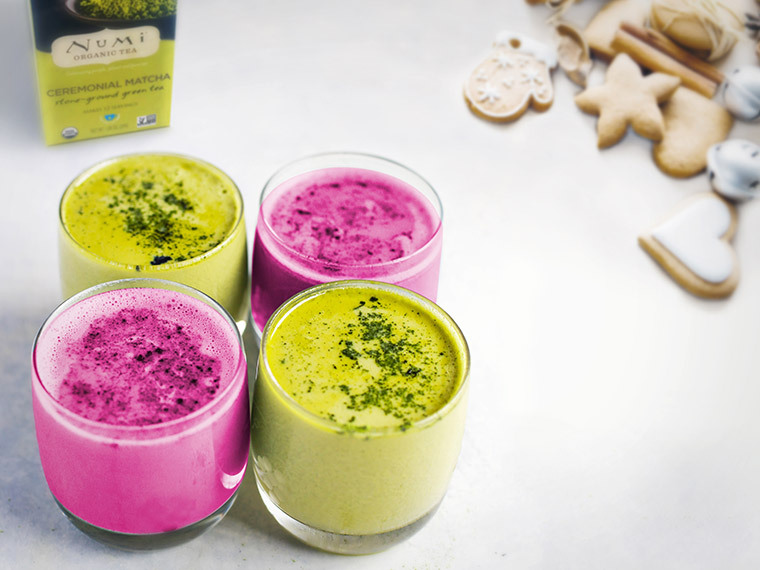 The Mint-Infused Matcha Latte is probably the more seasonally-appropriate of the two with the green coloring, but if mint and matcha aren’t to your taste, you just might find this antioxidant-rich Soothing Pink Tea Latte (which gets its bright hue from beets!) more to your liking.